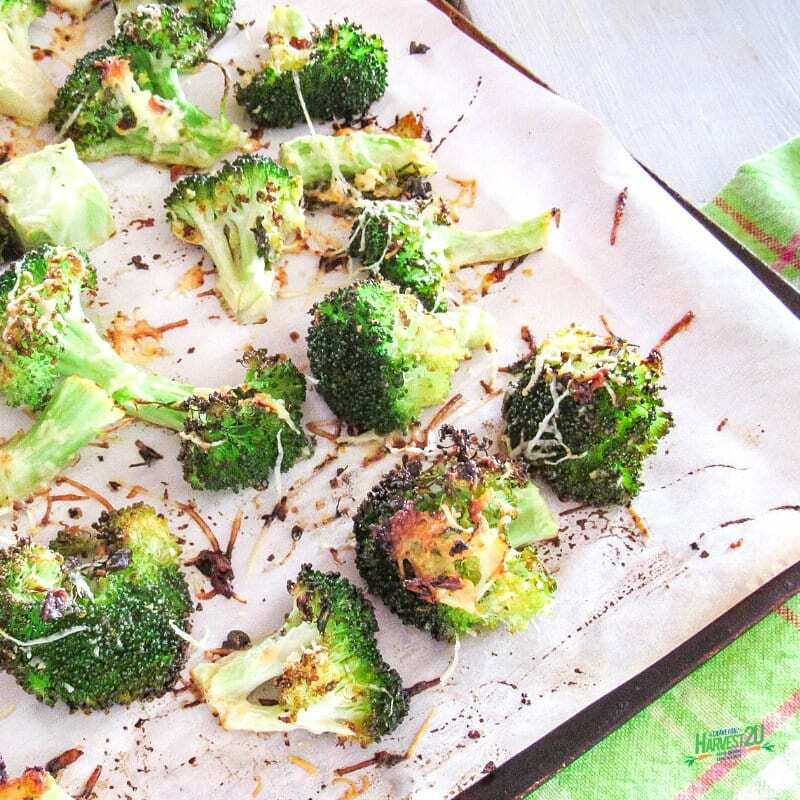 This Lemon Parmesan Roasted Broccoli is a delicious and simple side dish that is ready in under 30 minutes. Broccoli is loaded with vitamin C and K with plenty of beta-carotene. It is also low in calories and high in fiber. Most people only enjoy the florets of broccoli, but the stems are equally delicious and nutritious. Just peel the tough outer layer and cut the stem into disks. In a medium bowl combine all of the ingredients. Spread out on a baking sheet. Bake 20-25 minutes until broccoli is tender.